Plenty of Transformer goodies listed here. I'll have to keep that in mind!! yeah I heard there was a ko of that. I just made a pre-order from these guys for X-Transbots APOLLYON. I will keep this thread informed on my personal service from the store..
so we hit a speed bump in my order for XTransbots Apollyon. As we all know, I preordered Apollyon on the 16th. Aces has accepted my money and my item has been listed as paid for. I got the email stating that my paypal went through and the item has been paid for. In the past few weeks I've sent an email asking for any kind of reply since the website seemed outdated as well as their facebook page. Today, I check my shopping cart and find out that Apollyon is sold out and there were not enough to fulfill my order. They want me to change my order. I sent an email asking to refund my money and or call me. I'm waiting on my reply. I've been sending e-mails daily asking for an update on my order. Still no replies from Aces Toy Store. According to social media, i'm not the only one with this problem. It's been listed that anybody that ordered Apollyon from Aces Toy Store needs to file a dispute on their PayPal account. From what I understand, Aces is not getting any Apollyons and the money from all that paid upfront for him is gone. This right now is only a mere rumour until further proof is verified. I'm beginning to believe this is true. I've been writing emails to customer service on a daily basis. To no replies... they updated their site today. So I know someone is still alive and taking money. Needless to say, I filed a dispute with ATS via my paypal. The first step is trying to communicate with the seller and hope we can reach an agreement. So I did my part. The next step is for someone at ATS to reply to my Paypal dispute. If no reply is given within a certain amount of days, the dispute will turn into a claim and PP will get involved with it and HOPEFULLY refund my $150. Good news on the other hand, I broke down and pre-ordered another Apollyon from BBTS. I know I will have no problems with them. I should of went there first. 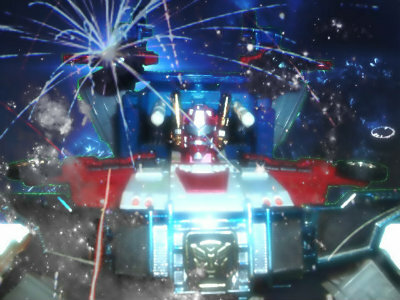 I hope you get your money back Galvy, it does sound fishy that they taken your money and not produced what you ordered, even a simple e-mail telling you what's up would help but in this case, clearly not, so ya better start praying to Primus or Unicron for justice! Don't forget to pick up SW minions rivals, KFC have done Not Steeljaw and Not Ramhorn, thou some other third party did Eject and Rewinde but they don't transform into items fitting inside of chest, instead they become guns for Fansproject City Commander armour, but if a group does them like that, I'll be likely to get them because the ones that come in the Generations toy line are useless because they are more desgined for a gimmick than anything else! KFC has made steeljaw.. Ramhorn.. Eject and rewind. I think rewind comes with transistor. Galvatron wrote: KFC has made steeljaw.. Ramhorn.. Eject and rewind. I think rewind comes with transistor. Looking on Ebay, he does have a Rewind, the trouble these days is that there is things I want but I just need to manage my money carefully if you know what I mean! I raised my Paypal dispute into a full COMPLAINT. Paypal is now involved in returning my money. today it appears that acestoystore.com is closing down. They have no items up for sale. My shopping cart status is being controlled by Paypal as a reversed order to get my money back. if you check out the link in the first post of this thread you will see what I mean by no items for sale. Clearly the company has gone out of business and they taken the money and trying to do a runner but at least you paid through PayPal so you should be able to get your money back! yes i'm in the window of days to have my money returned. But the Aces owner claims all the money is gone. He will pay!!! Galvatron wrote: yes i'm in the window of days to have my money returned. But the Aces owner claims all the money is gone. He will pay!!! I take it that the Plasma cannon is fully charged and the acid pit cover is up, ready for the owner? you. Please allow five business days for this adjustment to be posted. that was quicker than I thought!! I got my money back!!!!! Now it's time to buy more transformers!! Well considering that they seemed to have gone under, the title of this thread should reflect that fact, I would do it myself but my mod powers have vanished! Anyways, I'm glad you got your money back Galvy, now start planning to buy some desent Generations figures, sod the RID2015 ones, they can or ! Edit: it seems my mod powers are useless in the sub sections, I just checked! 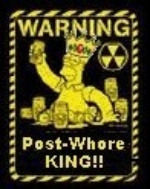 Galvatron wrote: I'll look into your mod status sop. let me know if I fixed it SOP. 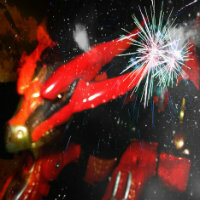 Galvatron wrote: let me know if I fixed it SOP. The powers have risin in this area!